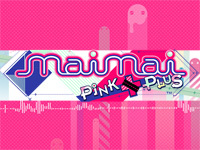 maimai PINK PLUS is available today. Sega adds new songs to its musical game in "POP & animation", "niconico & Vocaloid", "the East Project" and "Game & Variety" categories. A new feature named "grade certification" is also added to test the players skills: the player will get a rank certification if he clears 4 songs of a determined degree of difficulty with a RANK S or more. And finally, another new feature appears: "event course", the player must clear 4 songs of a degree of difficulty he can choose with a RANK A or more. The two first event courses are GochiUsa course (with songs from the anime GochÅ«mon wa usagi desu ka?/Is the Order a Rabbit?) and East Project course. Dragon Quest: Monster Battle Scanner starts operation today. 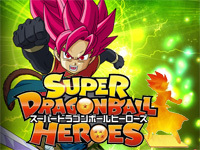 This is the successor of Dragon Quest: Monster Battle Road released in 2006. 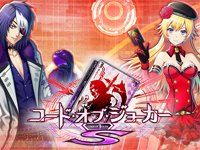 Square Enix and Marvelous celebrate the 30th anniversary of the series with this new arcade opus, a "scan battle RPG" in which the player scans cards to make monsters and equipment appear in the game. 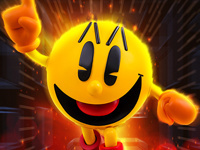 The gameplay is similar to Battle Road: the red button for the offensive attack and blue for defensive attacks. This time, the ultimate attacks are launched using the stick of the dragon (which replaces the Zenithian sword) when the energy gauge is full. There are three different cards S, M and L sizes. The size depends on the monster size. Players can also create a personalised card with his favourite monster pose. 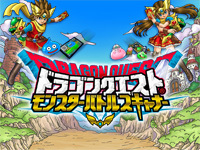 Dragon Quest: Monster Battle Scanner features 2 modes: arcade and adventure. 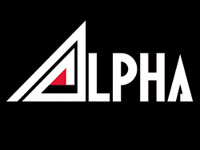 To celebrate the game's release, Square Enix has released some goodies: cards holders, t-shirts, towels, bags,... You can see the trailer here and opening here. 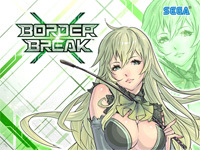 Sega announced the upcoming release of Border Break X during a press conference in March. It's tomorrow that this new version will be available. The new visual theme is green and the main changes concern the weapons. A new type of weapons appeared to respond to any situation of war: guerilla weapons. Sniper weapons were completely renewed. A new map is added: Island Rakuana - sunny sky under a hot air. Two new "event battle" are available: "base overwhelm warfare" and "Rush Challenge". The 6th Data Discs release celebrates the 30th anniversary of a well-known Sega license: OutRun. This famous racing game had marked the spirits at its release in 1986 especially thanks to its original concept, its perfect realization and its Ferrari Testarossa. But what made its success it is also the music that still recognizable from the first notes even today. Three titles that the player selected via the car radio, were available: Passing Breeze, Magical Sound Shower and Splash Wave. 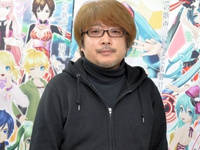 They were composed by Hiroshi "Hiro" Kawaguchi, a well known member of the SEGA Sound Team. Vinyls edited by Data Disc include the 3 tracks from the arcade version plus Last Wave (the high-score music) on one side and on the other side Step on Beat (from the Mega Drive's 1991 version), Cruising Line and Camino a Mi Amor (from the Nintendo 3DS version released in 2014). Music from the arcade version have been recorded directly from the original OutRun cabinet and all songs have been carefully remastered wit. As usual, the packaging is pretty neat and has 3 interchangeable sleeves, an OBI, and a liner note written by Hiro. 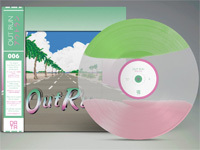 The three traditional editions are available: limited mint green, transparent and pink edition (available exclusively on Data Discs website), mint green edition and black edition. A 4th special edition available in very limited quantities (50 copies) is reserved for early buyers. It is identical to the limited version but it is signed and numbered by Hiro! It will be assigned randomly to 50 lucky buyers among people who have pre-ordered the limited version within 12 hours after the first pre-order is placed. 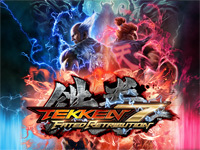 Preorders start on Saturday 25th June at 19:00 (UK time) at Data Discs. All editions are priced at £19.99 (26€) and the vinyls should be shipped in July.